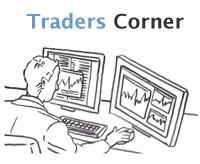 Welcome to traders corner where you will find information about trading the markets, some very interesting articles can be found here to greatly improve your trading and chances to make a living out of the financial markets. The Forex market is the largest in the world with trillions of dollars changing hands each day. It used to be the playground for the super wealthy, but the dawn of the internet has given birth to a new breed of the trader, you the retail trader. To think in probabilities, you have to create a mental framework or mindset that is consistent with the underlying probabilistic environment. "A probabilistic mindset pertaining to trading consists of five fundamental truths"
Read our blog on Linda Raschke's trading rules. Every new trader should read the list below showing the Golden Rules that will help your trading, print the list and stick it near your trading monitor to remind yourself not to make any decisions that will cause you to lose money. F# is a functional programming language that allows you to write simple code for complex problems. Currently, it is most commonly used in the financial sector. Quantitative finance makes heavy use of mathematics to model various parts of finance in the real world. If you are interested in using F# for your day-to-day work or research in quantitative finance, this book is a must-have. Using program code, you can train a neural network with information about how to trade, and the network will attempt to forecast the market based on what it learned from the training data it was supplied. The trading world attracts many different personalities, take a look at which one of these categories you fall into and are you cut-out for the pressures of trading the markets. In only a few short years, the currency/foreign exchange (FX) market has grown significantly. With institutions and individuals driving daily average volume past the $3 trillion mark, there are many profitable opportunities available in this arena--but only if you understand how to operate within it. Follow the link above to browse some excellent eBooks that will help your trading.